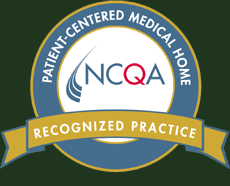 It is the goal of the office of Paul H. Deutsch M.D., R.Ph., LLC, to provide proper and safe care to all of its patients. It is the policy of this practice to manage prescription requests and refills in a timely manner that is conducive to quality patient care and patient satisfaction. Medications are inherently dangerous if not used properly. Most medications require monitoring that is done by seeing Dr. Deutsch in the office, having periodic lab tests or a combination of the two. Some medications are safer than others, and Dr. Deutsch will decide how an individual medication is to be monitored. Keep your regularly scheduled appointments and annual physical. Have lab tests performed in a timely manner, as ordered by Dr. Deutsch. Call if you have any questions about your medication. If you do not know the answer, let our doctor or the support staff advise you. If you ever have concerns about the answers you receive, request to speak to Dr. Deutsch or request an appointment to come into the office to spend time with our treatment team so all of your concerns can be addressed. Take the time to understand the refill schedule which will be limited according to your medication. Request refills at least 48 hours before you run out of your medication. Once a refill request has been made, contact the pharmacy directly at the end of the day to check on its status. Schedule appointments to monitor medications appropriately. Schedule lab tests to monitor medications appropriately. Refill medications as needed, if appropriate. Medication refills should be discussed at each appointment to help ensure that patients have enough of their medication until the next monitoring test or office visit. New prescriptions do not need to be provided at each visit, in many cases the status of the prescriptions may be discussed, along with the procedure/plan for refills. The office uses electronic prescribing. An electronic authorization is sent by the pharmacy to your doctor when you have zero refills remaining. A response is generally sent by your doctor’s office to the pharmacy within one business day. If the doctor denies the refill, it is expected that a note will accompany the denial so the pharmacy can explain the reason to the patient. If the answer that the pharmacy provides does not adequately answer your concern, call your doctor. When refills are denied, it is generally because the patients are overdue for monitoring and the refill is held for patient safety reasons. If the patient expectations above have not been satisfied, refills may be restricted in some fashion. It is sometimes safer to stop a medication rather than allow it to be used without appropriate monitoring. Medications are refilled to provide enough medication until the next office visit or monitoring test. Mail-order pharmacies offer discounts for 90 day prescriptions. 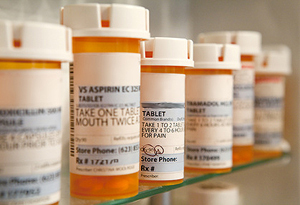 A 90 day prescription may be provided, but refills may be restricted according to policy. Once again, this is for patient safety. Answer all questions a patient may have regarding their medication or health issues. In many cases, an appointment will be suggested and expected.